Listen to how this man is treated by Bluffton, Ohio Village councilman Warren at time 2:50 minutes in this excerpt of the Bluffton City Council meeting of March 21, 2016. 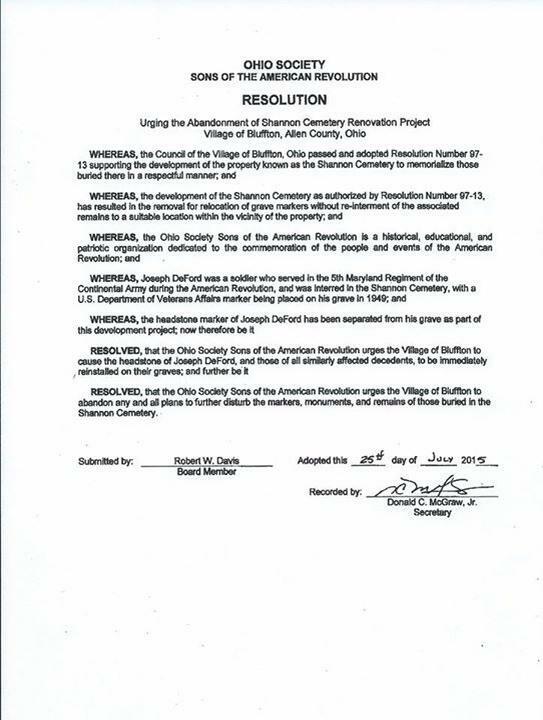 Ray was trying to get to the bottom of the runaround The Save Shannon Cemetery group has received for the last year by the Village of Bluffton Ohio, concerning the destruction of a cemetery his ancestors are buried in. After the village appointed a handpicked cemetery commission that unanimously voted to put the cemetery back as it was & in a state of preservation. The village is now playing political games of tabling & not tabling the recommendation & parts of it. 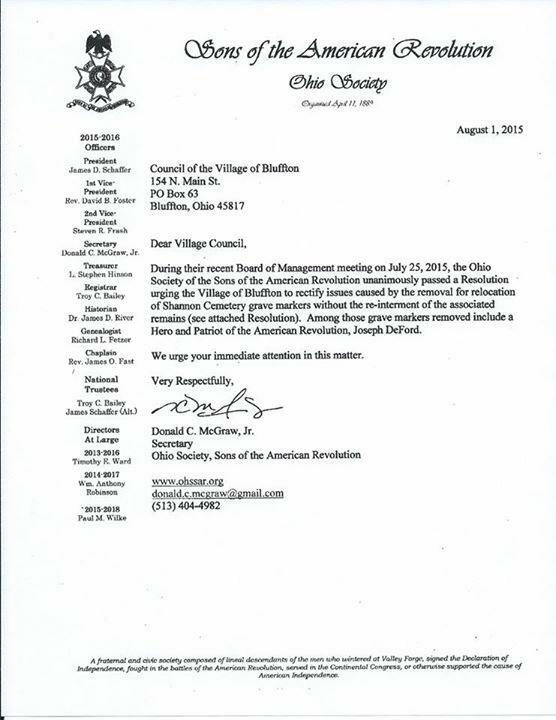 Tell Bluffton, Ohio’s elected officials what you think of their BS, lies, intimidation, & destructiveness. Click HERE to view the Save Shannon Cemetery Group’s “Youtube” Video. It tells the sad story of a small town’s cemetery demise at the hands of its own leaders and officials. 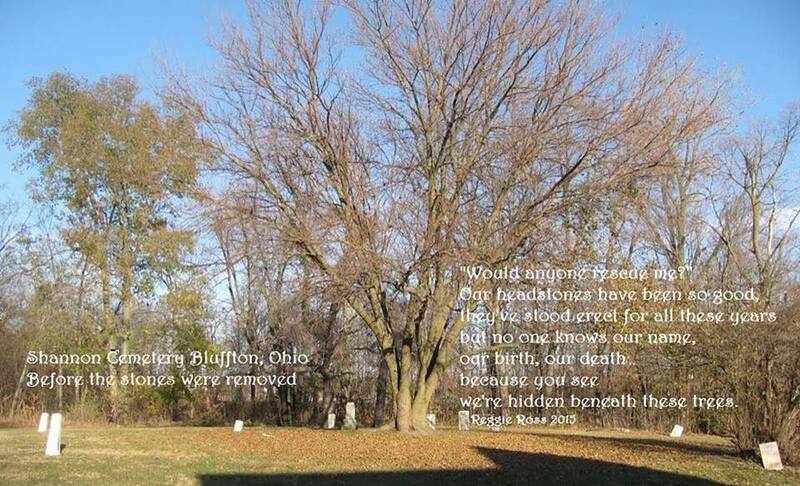 Shannon Cemetery is the pioneer cemetery in Bluffton, Allen County, Ohio where the town’s officials continue to push to proceed with their plans to turn their historical Shannon Cemetery into a “cemetery park”. 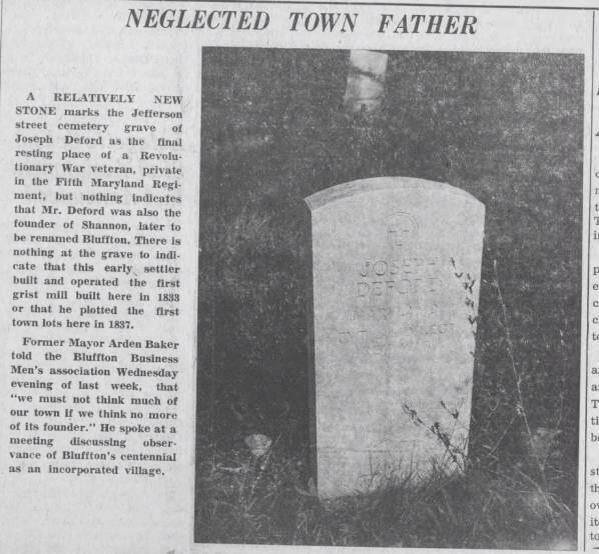 Already, the Shannon Cemetery has been vandalized by its own town government because the officials have allowed the willful removal of the remaining standing gravestones, some of which are veterans’ markers, and have put them in storage to be later placed in concrete with the idea they could then comprise a “headstone display” elsewhere on the property. Ask yourself, would you want your ancestors’ gravestones removed from their proper gravesites because of a plan as disrespectful and ill-conceived as this one is that would normally be deemed as illegal? How sad it is that such a shameful plan has had the backing of the town’s officials who one would think should want to honor their own town’s history by protecting it; instead of purposely destroying it. Moreover, they still refuse to acknowledge the error of their ways. Restore Shannon Cemetery properly – LimaOhio.com – limaohio.com.